A 15mm grey push fit connector. 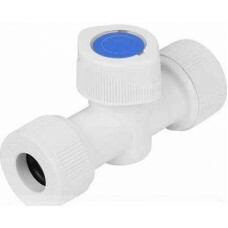 Suitable for hot and cold water plumbing applications. Rotary shut off valve, colour coded cap is reversible for identification. Not for use on Central heating system.